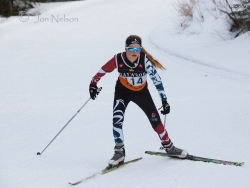 Kimberley Nordic's Mackenzie McLean's braids are flying as she tops a small hill. Anne-Marie Comeau from Larch Hills Nordic leads another skier up one of the numerous hills at the Lappe Nordic Centre. 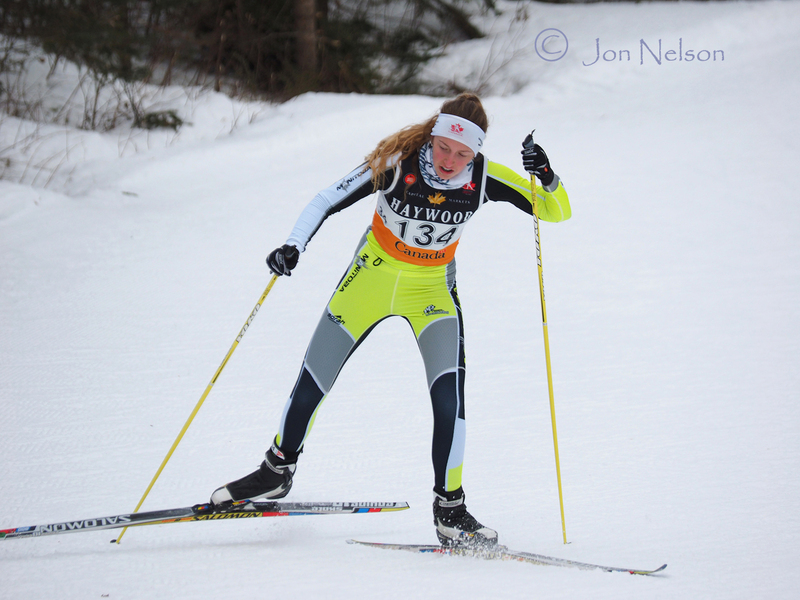 Kyla Vanderzwet of XC Ottawa is happy to reach the top of 'the grunt' at the 2015 Ski Nationals. Elise Hummelbrunner of Kenora MB poles over the top of a hill. Frederique Vezina, skiing for Nordique Mont-Sainte-Anne, heads toward home in the Open Women's race at the 2015 Ski Nationals. Lappe Nordic's Marilyn Ailey can see the top of hill as she heads up 'the Grunt'. 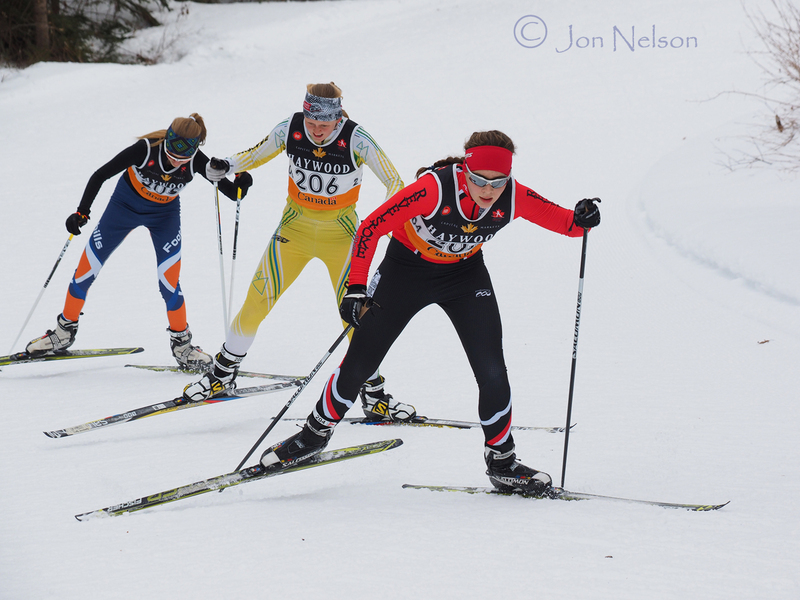 Revelstoke's Alana Brittin leads a pack of three skiers up a big hill during the Open Women competition. 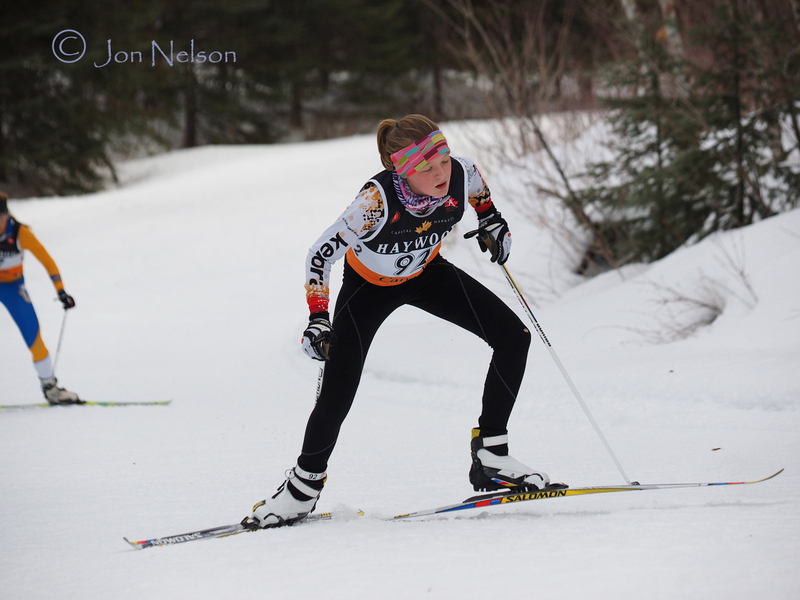 Anna Sigurdson from Sturgeon River Nordic focuses on an uphill during the Open Women competition. 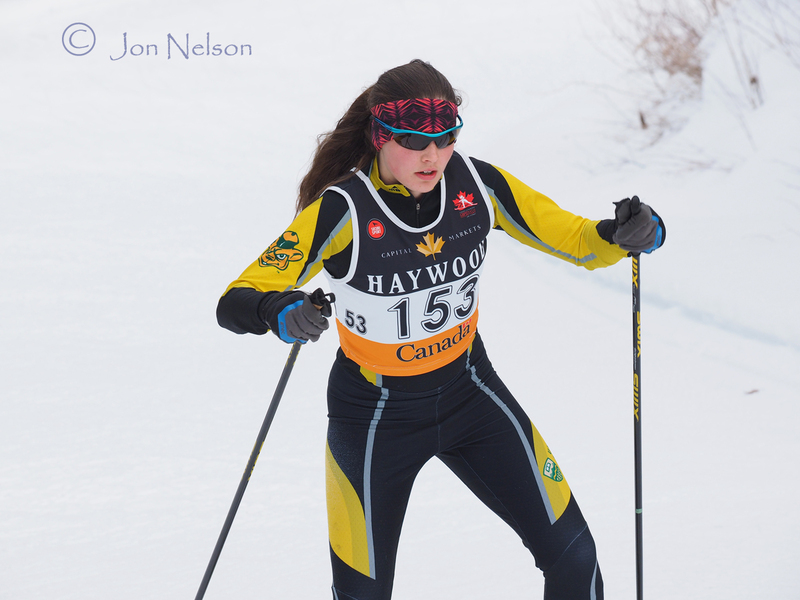 The top of one of Lappe Nodic's many hills is in sight for Canmore Nordic's Annika Hicks. 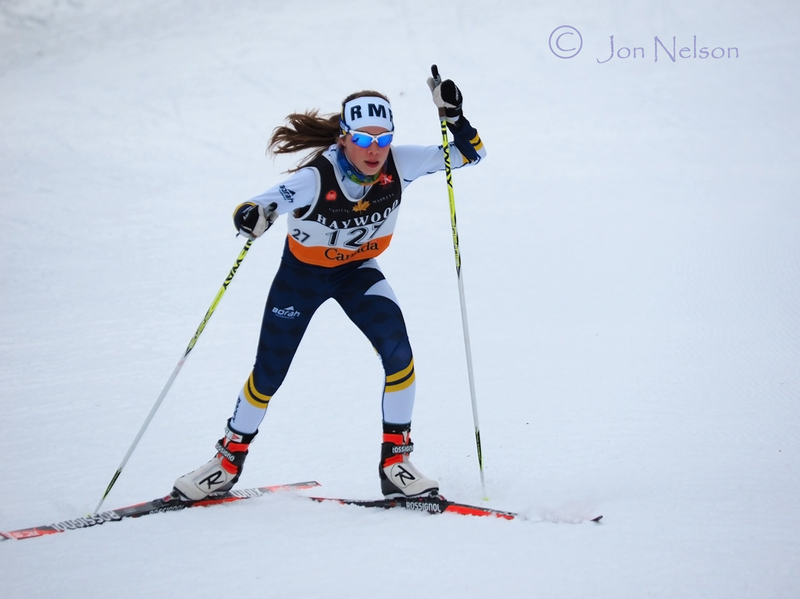 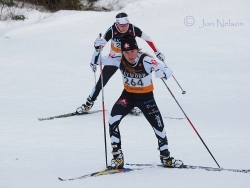 Ariane Normandeau competes in the Juvenile Girl race for Monteriski. 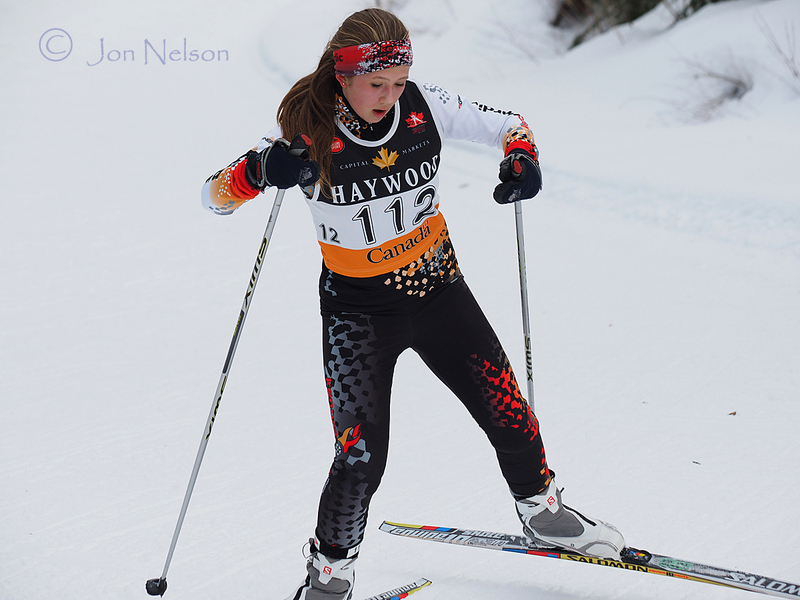 Brooklyn Francis of Kenora Nordic Trails begins an uphill at the Lappe Nordic Centre. Chelsea Nordiq's Laura Leclair skates smoothly along the trail. Red River Nordic's Elora Adamson competed in the Junior Girls 5 km Skate race. 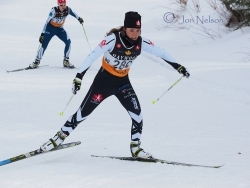 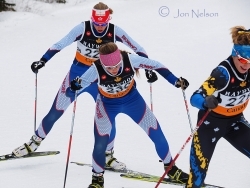 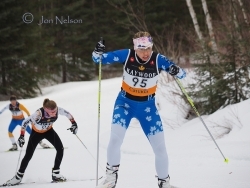 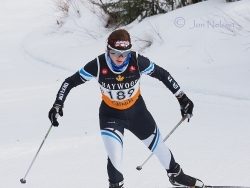 Lappe Nordic's Kathryn Hall competed in the Open Women's race. 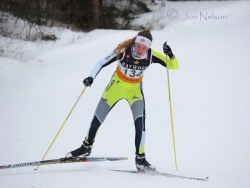 Tess Wortley from Highland Trailblazers is relaxed as she begins the climb up 'the Grunt' at the Lappe Nordic Centre. 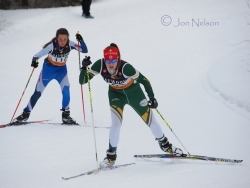 Freya Hik skied for the U of Alberta in the Junior Women's 5 km race. 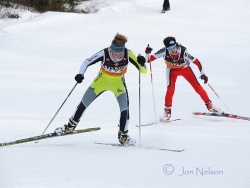 Juliana Luiker was in the Junior Girls race representing Wostawea Nordic. 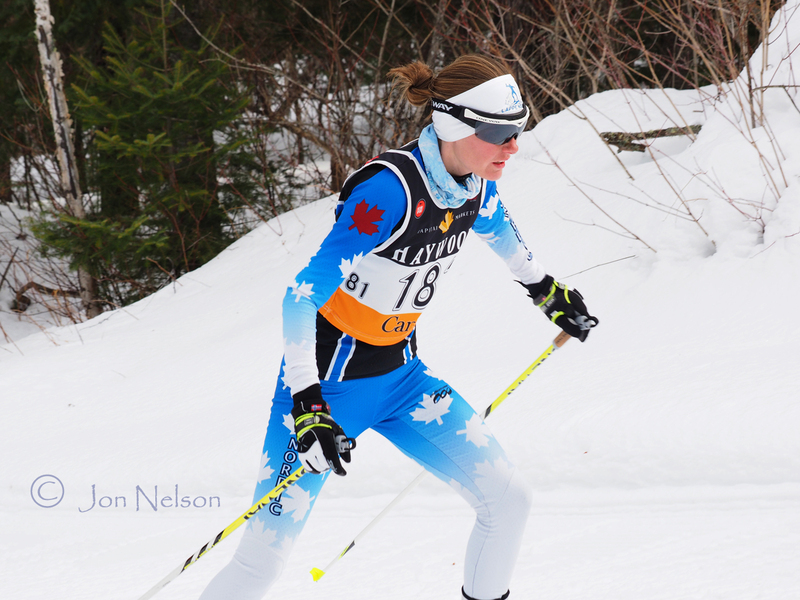 Lauren Turcot, a Canmore Nordic skier, is in a group of three skiers in the 5km race. 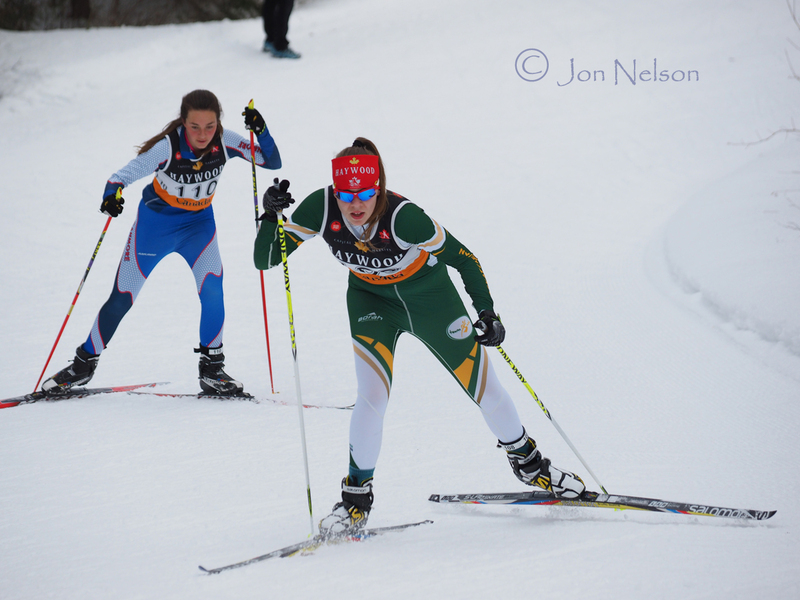 Laurence Dumais from Rondeurs-Larentides Nordic begins a long uphill in the Junior Girls race. 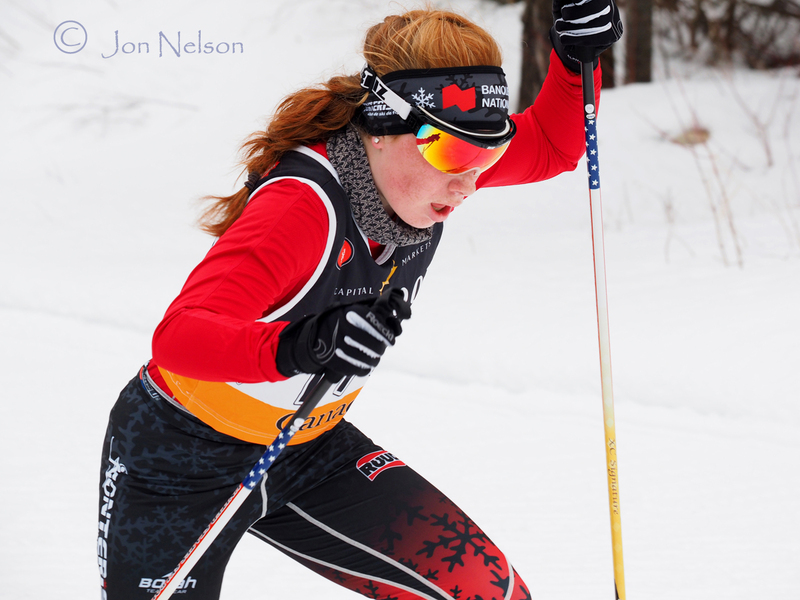 Lisle Compton from Kenora MB raced in the Junior Girls competition. 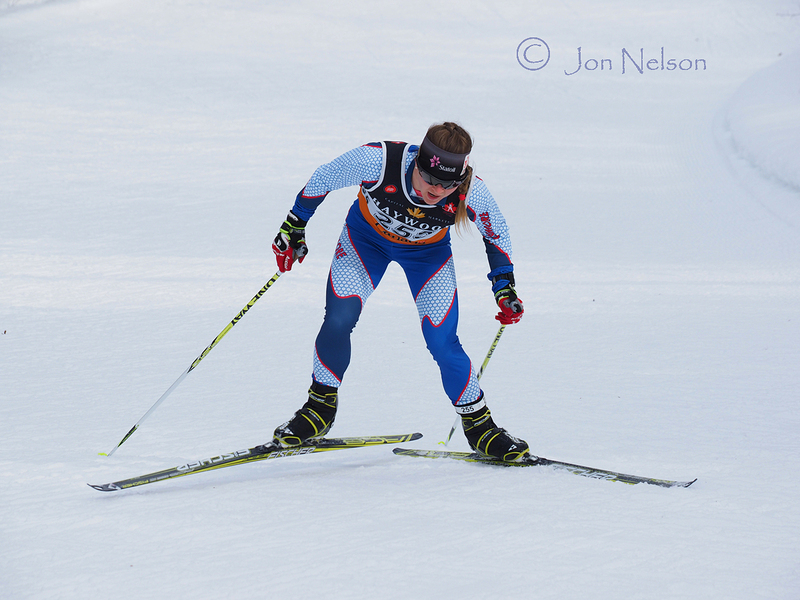 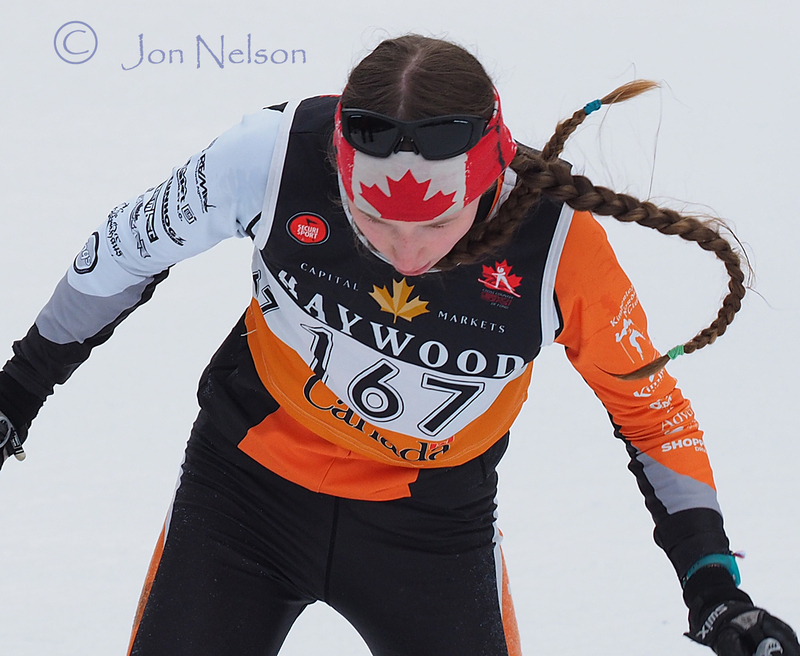 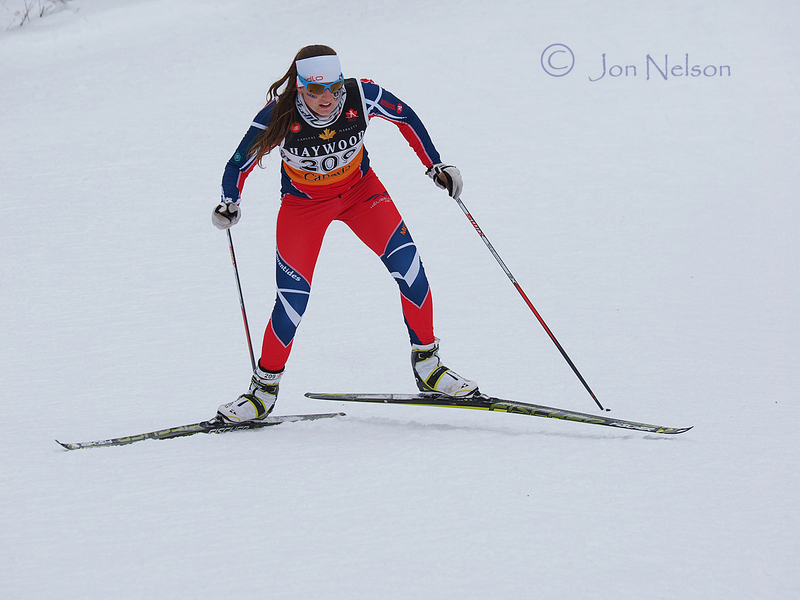 Lauriane Gregoire double poles uphill during the 5km Skat Race at Ski Nationals 2015 at Lappe Nordic. 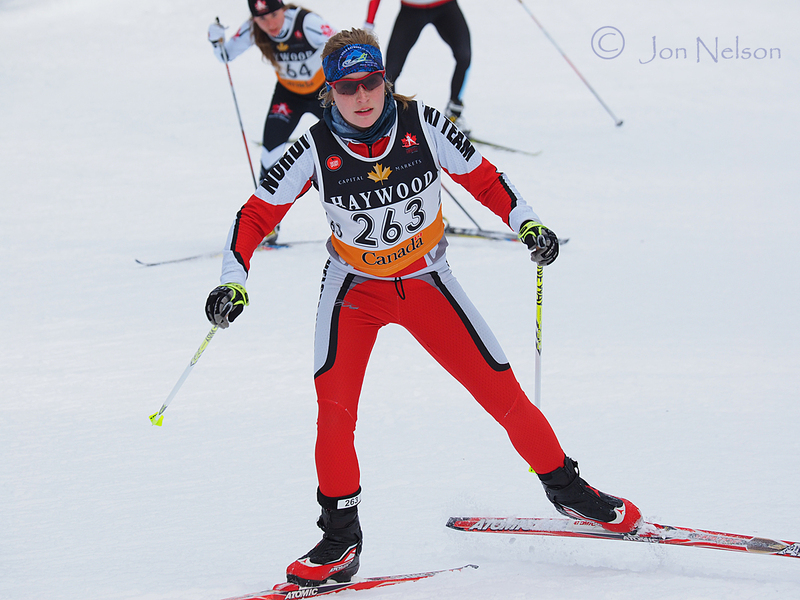 Veteran skier Megan McTavish of XC Ottawa works her up 'the Grunt' at the 2015 Ski Nationals. 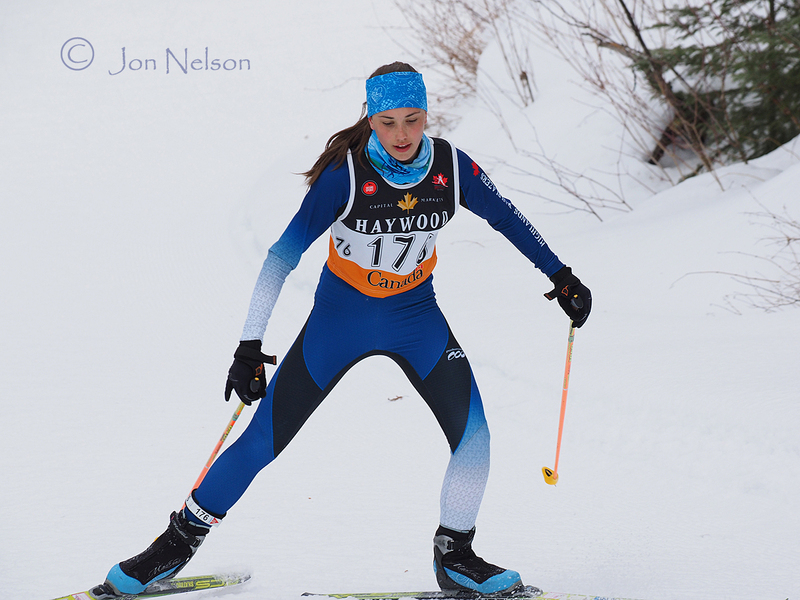 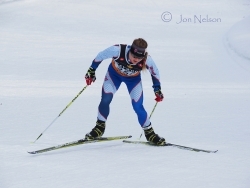 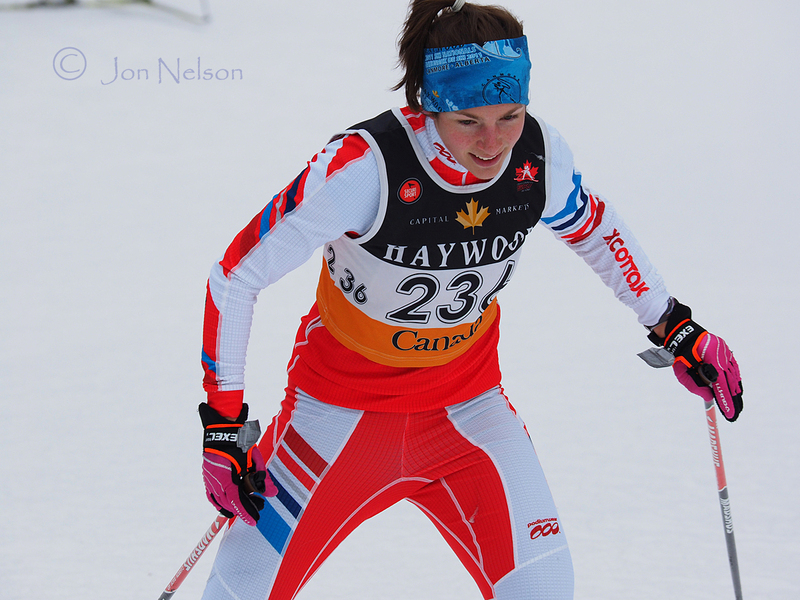 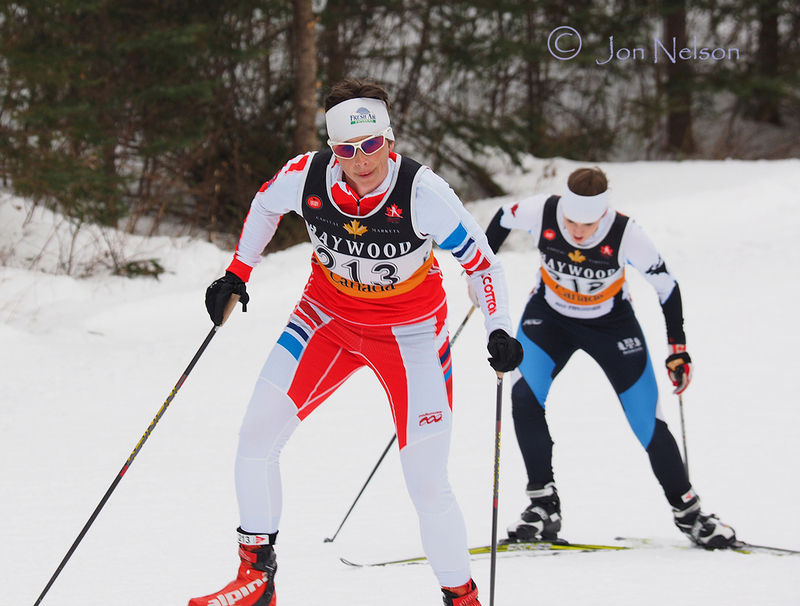 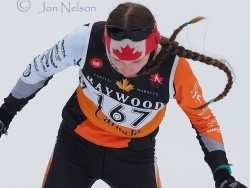 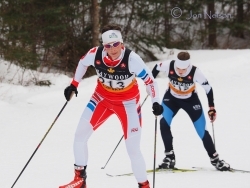 On a long Lappe Nordic uphill at Ski Nationals 2015, Anna MacIsaac-Jones nears the top.